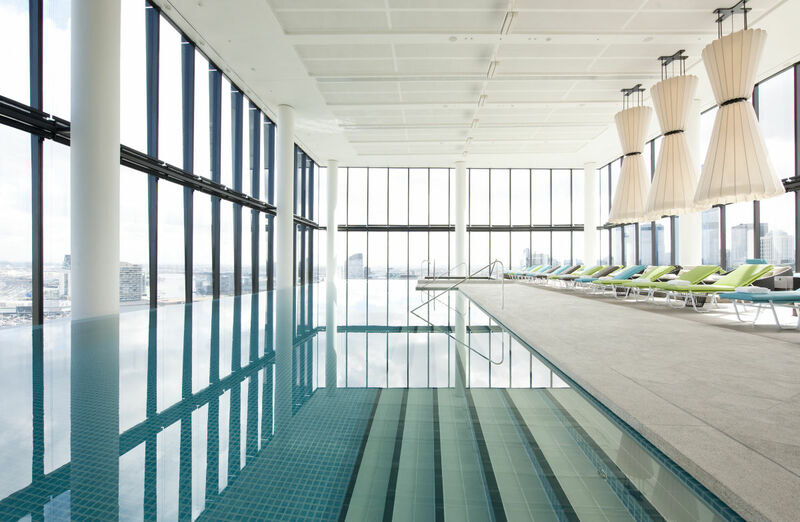 A distinctly different hotel that embraces its Melbourne roots, and offers an experience with a twist. Unexpected touches at every turn, unfussy service delivered by good people, and the best bed you’ve ever slept in. Rising above the vibrant Southbank precinct, only minutes from the city and miles from the ordinary, Metropol’s sleek black façade is a nod to the understated city in which it proudly resides. Our public spaces are an all-day destination where everyone is welcome to hangout and submerse themselves in the local scene. Ascend to a full-fledged playground in the sky with heated infinity pool, snacks, beverages, ping pong, and poolside tunes. At the very top, there are sweeping views, an outdoor balcony and a seductive cocktail list that makes 28 Skybar a popular Melbourne refuge year-round. Crown Metropol's business zone features four meeting rooms that can each hold up to 50 guests in a theatre-style setting. It is ideal for hosting meetings, presentations, intimate cocktails or private dinners. There is also a dedicated business centre including internet stations, two small meeting rooms for up to four guests and a private boardroom for up to 12 guests. Larger conferences can be accommodated at the adjacent Crown Conference Centre, catering for up to 840 delegates.